The Jupiter Police Department has added a new member to their K-9 team, named in memory of Burt Reynolds' most iconic character. 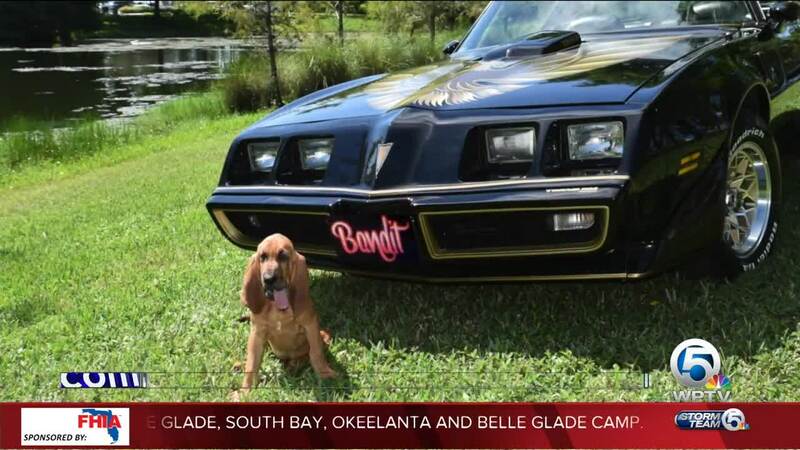 JUPITER, Fla. -- The Jupiter Police Department has added a new member to their K9 team, named in memory of Burt Reynolds' most iconic character. "Bandit", an 11-week old male Bloodhound puppy, was purchased through funding donated by the Jupiter Police Foundation. He is named after Reynolds' character from the Smokey and the Bandit movies. Bandit will soon begin his eight to 10 months of training and will be utilized by the department for tracking missing children and endangered persons. “We are excited for this opportunity to add “Bandit” to our team. These police dogs are important members of our department and provide the ability for detection and tracking services that keep our community safe,” said Chief Daniel Kerr.